Promotional Auto Folding 42-Inch Safety Umbrella is made from multiple materials. 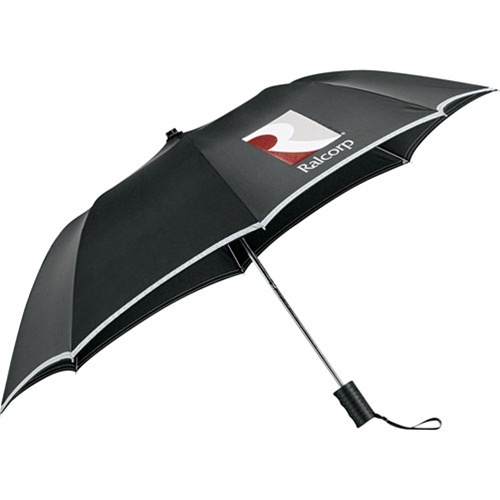 Personalized Auto Folding Polyester Umbrella comes with 1mm reflective stuff surrounding case and canopy. 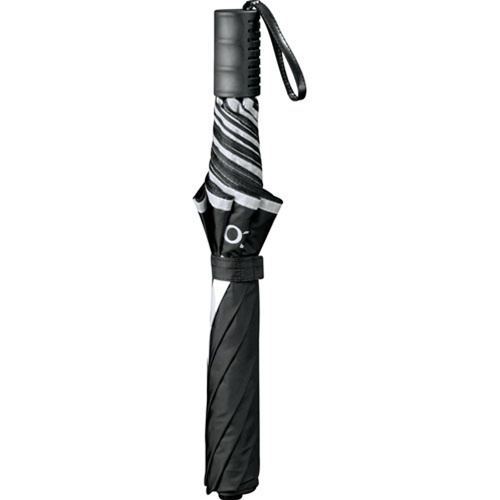 This reflective material makes umbrella visible at night. 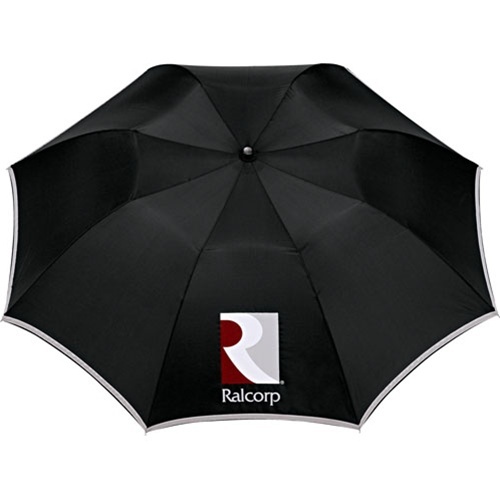 Promotional Auto Folding 42-Inch Safety Umbrella is available in Black color.